Hoi An is a great city to spend a few days. This is one of the places in Vietnam you shouldn’t miss. There is a lot to do in this relatively small town. 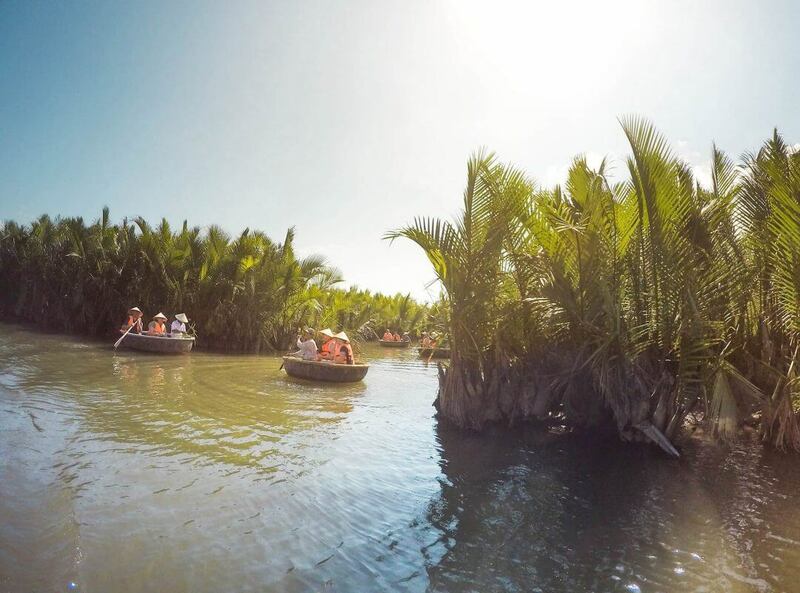 We wrote down our 7 favorite things to do in Hoi An. The Vietnamese cuisine is one of the best if you ask us. It’s not hard to fall in love with the Vietnamese cuisine. It’s our favorite cuisine so far. A cooking class can help you understand how these flavors are made and create them yourself back home. Loads of restaurants offer cooking classes where you’ll first start off picking the raw ingredients then learn how to prepare the food. Prices vary, but most of them cost between 350,000-550,000 VND for a 4-6 hour market tour and cooking class. If you’re interested in taking a cooking class in Hoi An make sure to check out Cookly, they offer a large selection of cooking classes for travellers, and easy to book online. A very personal and cheap one is at Cafe 43. Our favorite restaurant run by a lovely family. It’s a small restaurant hidden in a back alley, cheap, fresh and finger licking good. ? The cooking class at Cafe 43 are $5. Another more unique experience is a Hoi An cooking class out of town called Thuan Tinh Island – Cooking Tour. They will take you to the market and explain everything about the ingredients. After the market, you will hop on a boat which gets you to cooking class location. This boat ride is beautiful by the way! The group sizes are around 12 people. This tour costs $34 for the whole day. 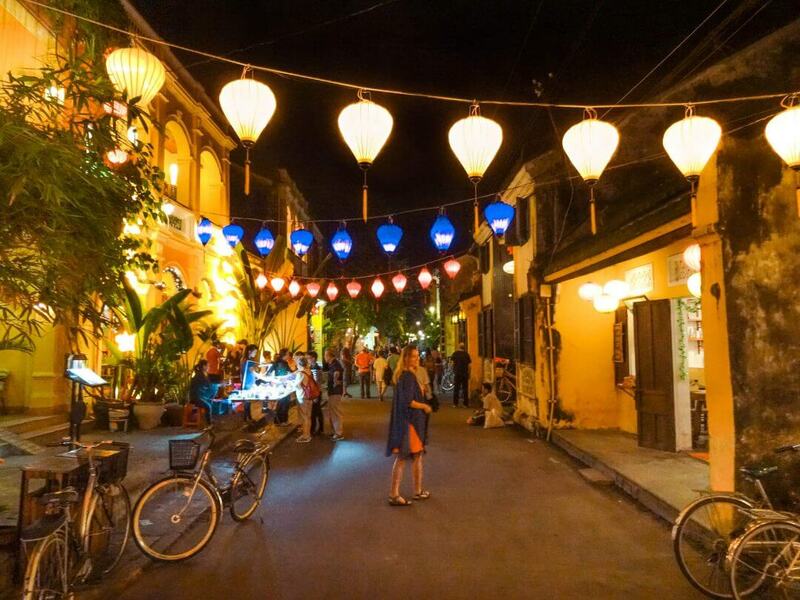 Hoi An’s Unesco old town is magical, especially at night. When the sun sets, the lights ignite and the old town turns into an almost romantic town. 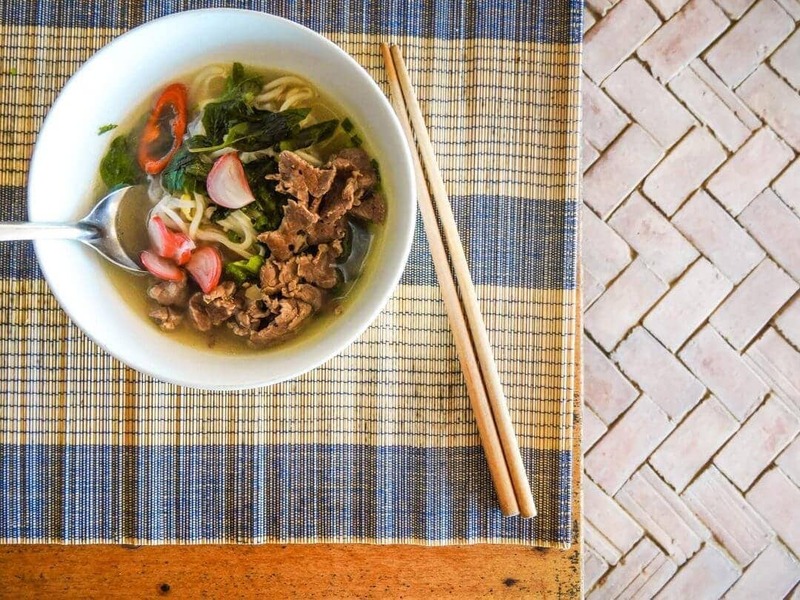 Loads of restaurants open up their doors, from traditional Vietnamese to fusion food. 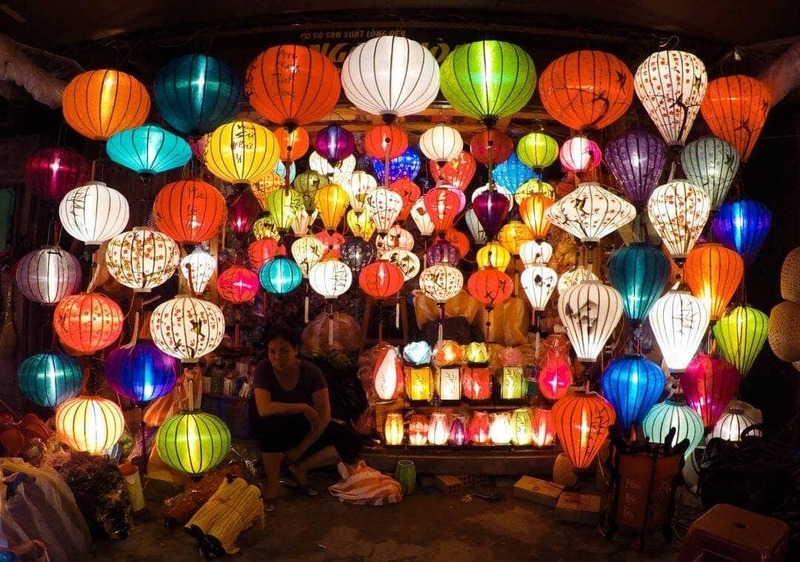 You can’t miss the Vietnamese handicraft shops or the famous lantern shops. Don’t forget it’s one of the most touristy places in Vietnam, so people will offer you a lot. 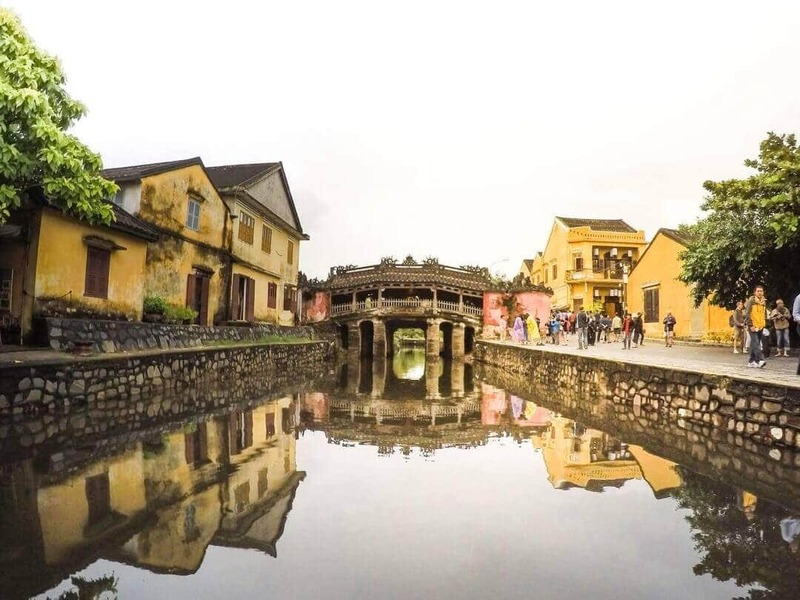 The bridge was built by the Japanese community who were situated in Hoi An. You can only cross it by foot and it’s great for photographs. The Hoi An market sits is packed with excellent food at super low prices. This is the place to pick up spices, souvenirs, try local food, fish market and have your tailoring done. Getting a suit or dress in Vietnam is a very famous thing. Why? Because it is crazy cheap! 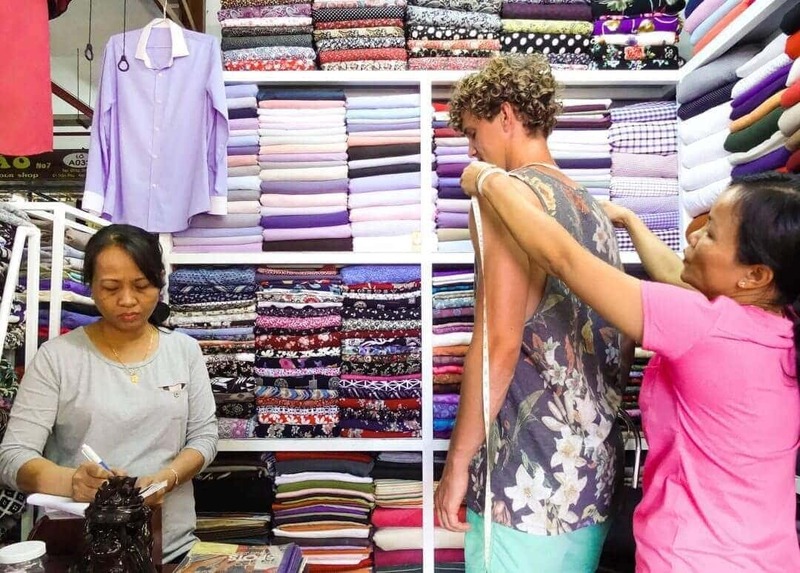 The number of tailors in Hoi An is insane and the quality is great. 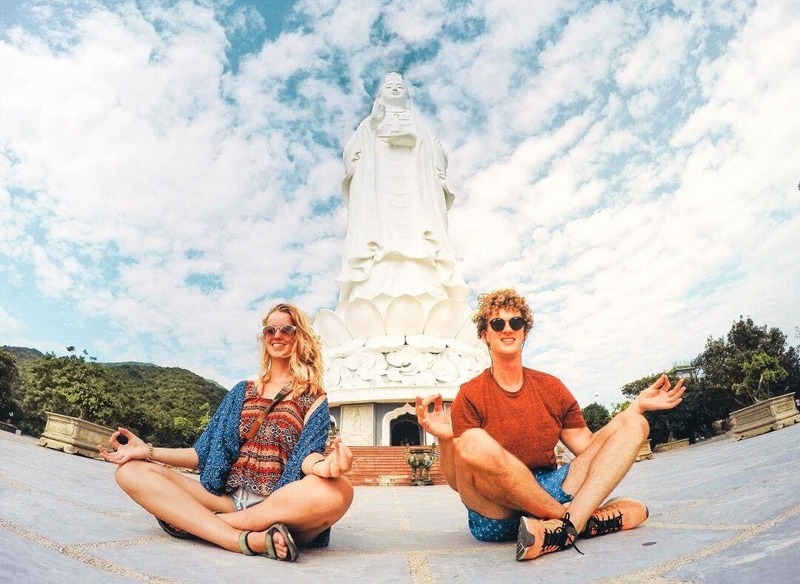 It’s no coincidence that a lot of engaged couples visit Vietnam. Not only to explore the country but also to get their tailor made dress and suit. A full suit without shoes cost you a $100. 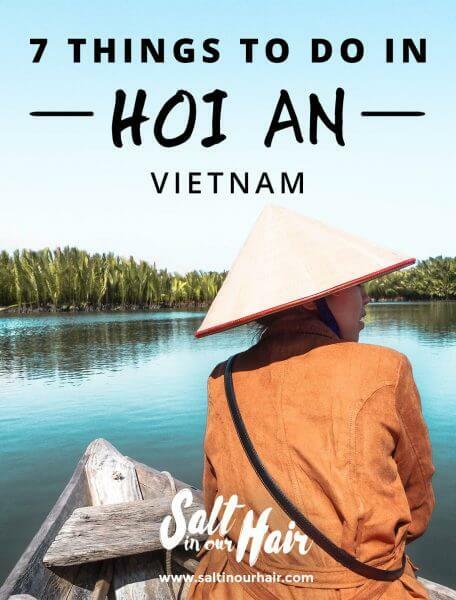 Hoi An is probably more expensive than other cities in Vietnam because Hoi An is famous for it. You can even send it home via Vietnamese post. By boat or plane, it depends on what you like to pay for the transportation and how fast you’ll need it. Tripadvisor reviews can help you pick a good one! Free tours are always the best in our experience. The free tour is done by Vietnamese students that need to practice their English and this is a perfect way to do that. 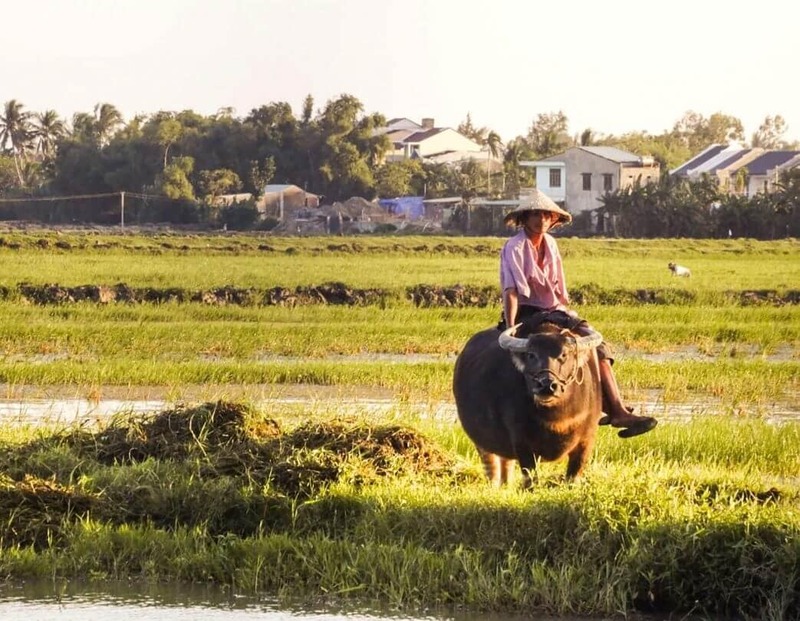 You will cycle through rice fields, learn how they made some local food, visit the outer parts of Hoi An. Visit Kim Bong Carpentry village, see how boats are made, visit Duy Vinh sleeping mat village and make rice paper at a family’s home. The tour is organized every Tuesday, Saturday and Sunday. 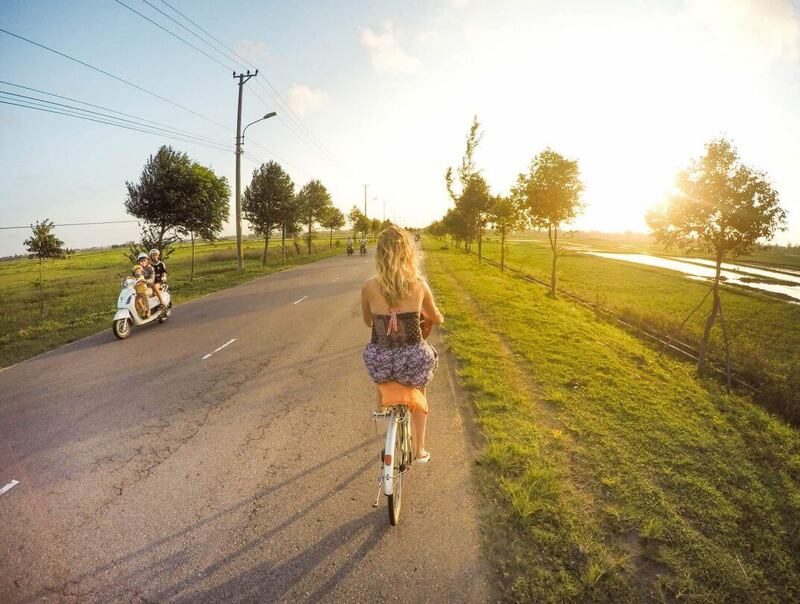 More about the Hoi An, free bike tour. Located about 30-minutes from Hoi An, Da Nang is a bigger city. When you to a plane to Hoi An you will fly into Da Nang. The city is famous for its Marble Mountains, great beaches, and a surfing scene. The city is popular among foreigners living here. We loved this city and decided to stay in Da Nang for a few days. Easily find the cheapest flights tickets to here! Hoi An has some great beaches. There are a few beach clubs where you can use a comfortable bed for free if you order food at their restaurant. Tip: Pay attention when parking your bike. When you arrive at the beach, locals will wave at you to park. It’s a scam. Just drive a little further and you will see the real parking place which is cheaper and you’ll get a free bottle of water. Banh Mi is the Vietnamese name for the baguette. 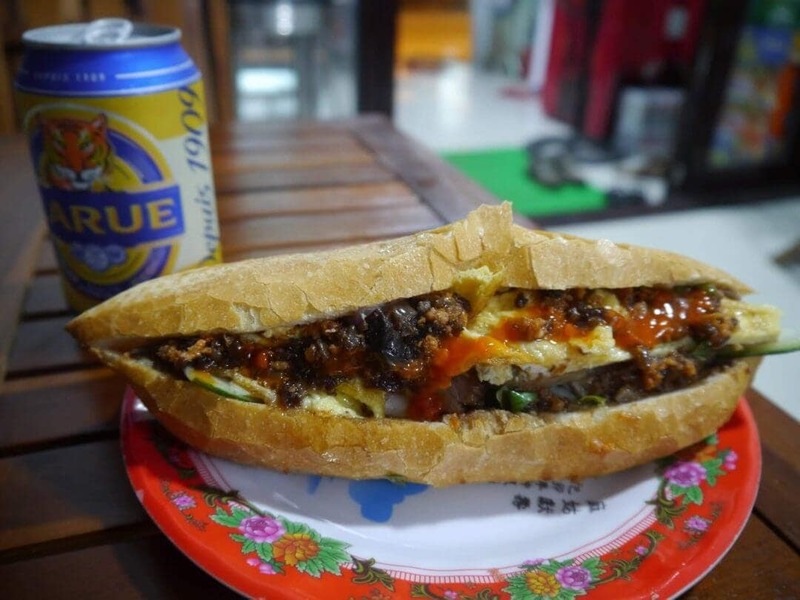 Vietnam is affected by French colonialism and that’s why they have baguettes. At every corner of the street, they sell delicious sandwiches for less than $1! Inside is a combination of delicious flavors. Pork belly, egg, Cilantro & Onion, Vietnamese mayo, pork pate, veggies like carrot and cucumber, fish sauce and chili sauce. It’s best to stay just outside of old town. Accommodations are cheaper and it’s both beach and old town are easy to reach from there. We got you a $15 discount at Booking.com if you book via this link, you’re welcome! ? 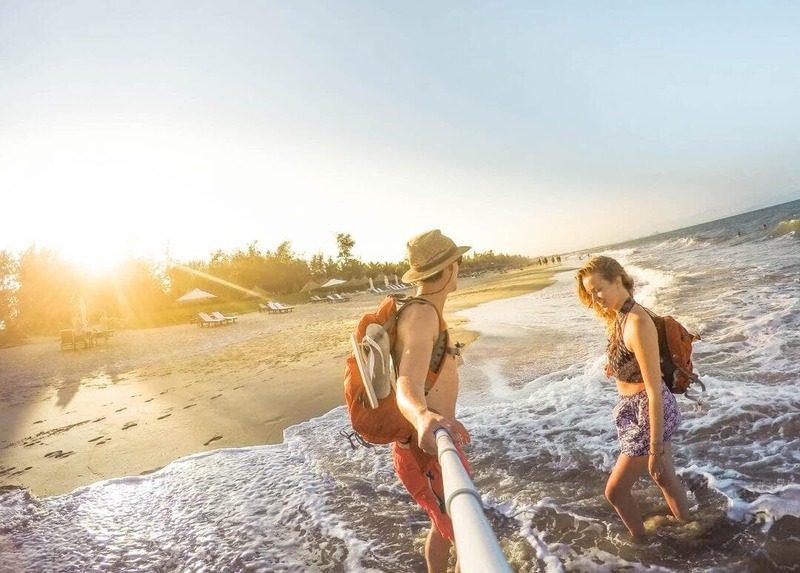 Search Hoi An at Booking.com and you will mostly see guesthouses and homestays. We’ve stayed a week in Thanh Luan Homestay. Such a lovely woman! The best breakfasts and it was located perfectly! Bikes were free as well! Perfectly located in between the beach and old town. Great breakfast and rooms! A restaurant, terrace and super close to Hoi An old town. Starting at $15 a night. A 10-minute drive from the Hoi An old town and a pool! Starting at $15 a night. A more luxury choice around $35 a night. Definitely worth the money.